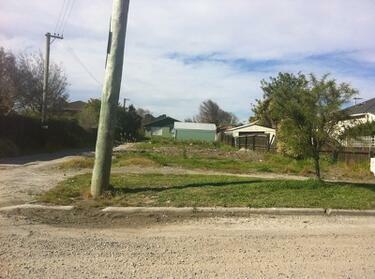 A photograph of an empty, overgrown section on Waitaki Street in Bexley, next to Waikare Lane. 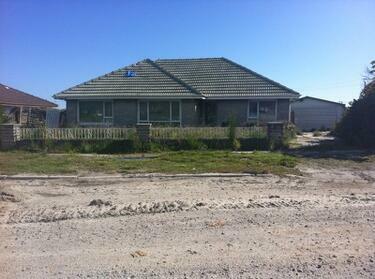 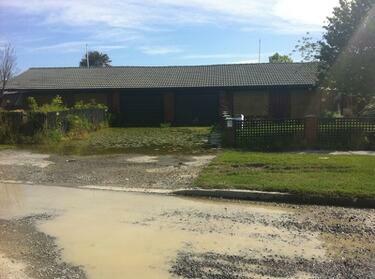 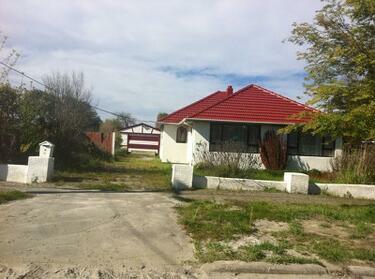 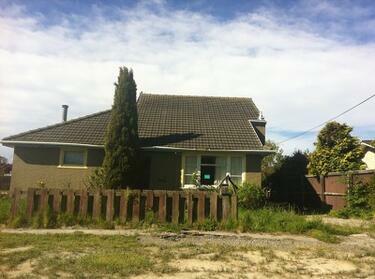 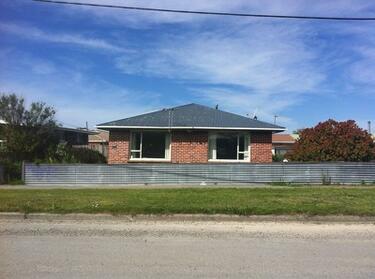 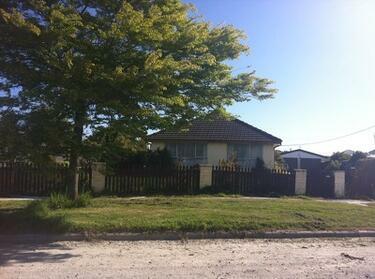 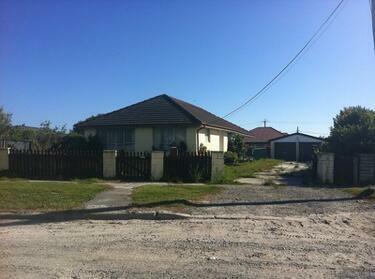 A photograph of an abandoned property at 81 Waitaki Street in Bexley. 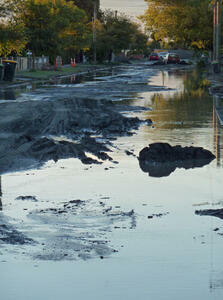 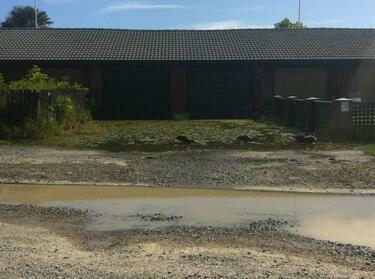 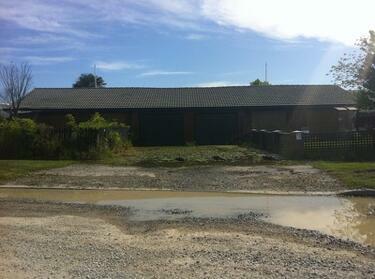 Liquefaction and flooding in Waitaki Street, Bexley. 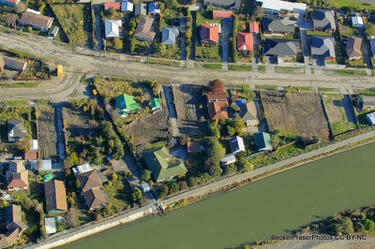 The photographer comments, "Waitaki Street a week after the Christchurch Earthquake. 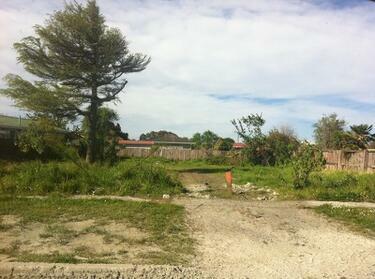 Because of the damage to the drains and liquefaction in the area the streets are not drying out". 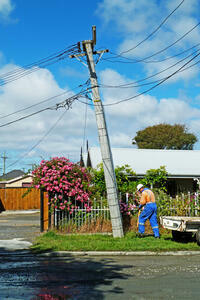 A worker repairs a leaning power pole in Bexley. 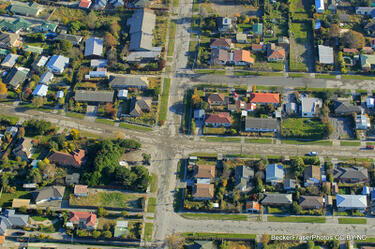 The photographer comments, "I was told that this electricity pole in Bexley always leans after every big earthquake. 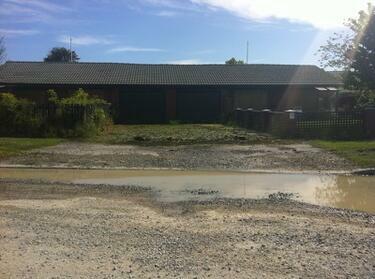 Maybe it might take more than a one man and one shovel to put 'straight'".